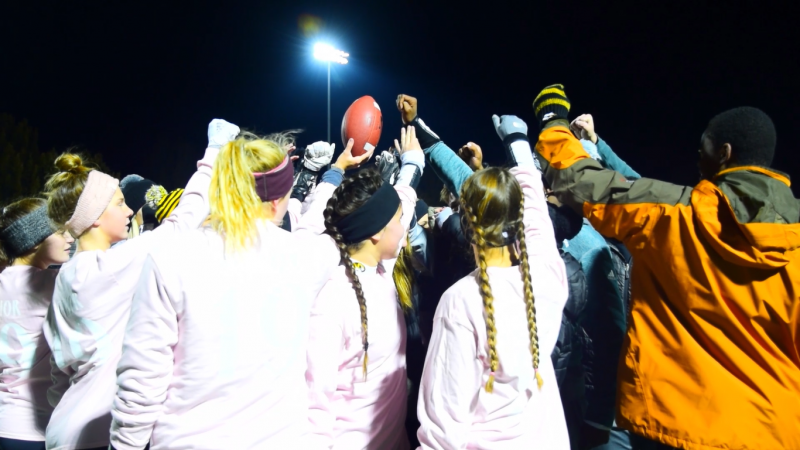 Seniors Hannah Pate and Cameron Thompson talk about their experience playing flag football against other girls of different grades. Music: “Endless Motion” from https://www.bensound.com. Junior girls fight to defend their other teammates from their freshman opponents. Freshman team huddles together before beginning the game versus the junior's. The freshman girls feel victory after a touchdown against the juniors. RBHS boys stand on the sidelines to help coach the girls on how to make a win. Juniors have the ball and consult with each other how they are going to play this round.